The term “Taxation” comes from Latin word “taxo” or “taxatio”. The Latin word “taxare” is related to the term “tax” which means “to charge “. Charge, duty,levy, tariff, impose, toll, rent and the like are the dictionary meaning of tax under different perspective. Tax is a compulsory payment to be paid by the citizens who are liable to pay it and imposed by the government. According to the Article 152(1) of the constitution of The People’s Republic of Bangladesh, Taxation include the imposition of any tax, rate, duty or import- whether local or special and tax shall be construed accordingly. “Taxes are the compulsory payment to government without expectation of direct return in benefit to the tax payer.” -Taylor. “A tax is a compulsory contribution imposed by a public authority irrespective of the exact amount of service rendered to the tax payer in return and not imposed as penalty for any legal offense.” -Dalton. “the price paid to the government for living in a civilized society is the tax.” -Justice Holmes. 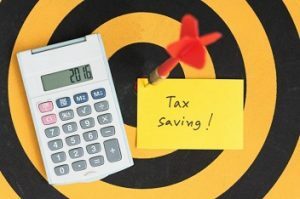 Tax is a compulsory levy under taxing act. It is a price paid to the Government for living in a civilized society. It is one of the prime source of revenue for the government. Tax is not any fine or penalty but refusal to pay a tax is a punishable offence. Tax payers cannot claim the direct benefit for payment of tax. It is generalized exertion for indirect tax and group exertion for direct tax. Taxation is the major source of revenue for the government. In order to accelerate economic development the Government needs huge amount of resources. It is the way to transfer the resources from private sectors to government sectors. Collection of revenue: In the context of Bangladesh the main sources of revenue is found to be tax. for example, In 1972-73, it was 77.61% of the revenue and in 2015-16 it is estimated at about 80%. So collection of revenue is one of he fundamental objective of tax. Remove Regional Disparities: The government provides tax exemptions or concessions for industries established or activities carried out in backward areas. This will help increase economic activities in those areas and ultimately regional disparity reduces to minimum. Economic control: To guide the economy in desire direction, government needs to control inflation, push money to the economy etc. Taxation can be an important tool to achieve this macroeconomic objective. Accelerating economic growth: The tax system must be designed as to raise the rates of savings and investment. This saving may be invested in productive sectors of the country. Control of consumption: In order to prevent the deterioration of health of general public, the government impose more tax on intoxicant, tobacco etc.More tax is also levied on luxury goods to reduce their use. Economic development: The tax revenue can be used by the government to build the infrastructure, to invest in social security programs, various poverty evolution programs etc. It can be ensure the economic development of a country. The objective of tax is not only the collection of revenue, but also to ensure the economic development and social welfare of the country. But it is only possible when the country designs the tax policy in an effective and efficient manner.